From Fabrication, Permitting and Installation, we can do it all! From drawing stage to the completion we have the expertise to get your project completed. Starting with a site survey and ending in a final inspection you will have a single sign company to help complete the process. 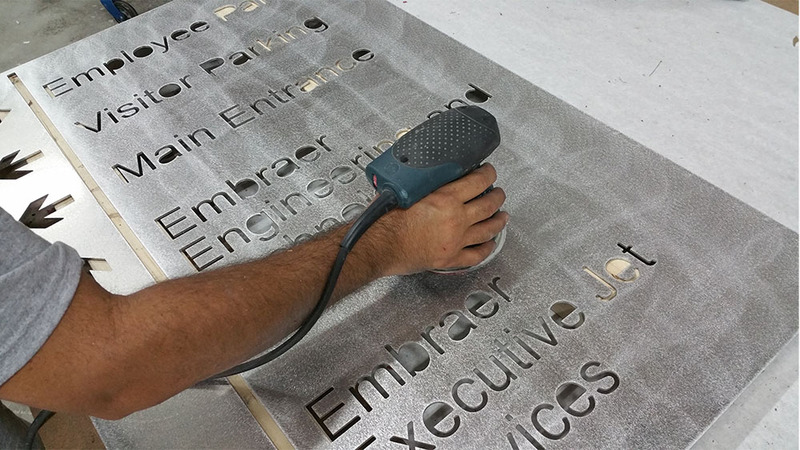 With our in-house production plant and as a licensed electrical sign contractor, Wholesale Signs Fabricators provides the following services with a commitment to excellence. We are a complete sign service company and we know how important it is to provide quality products to our customers. Our manufacturing shop is UL Listed approved and inspected. We use the most advanced sign fabrication systems and we have the experience and skill for manufacturing durable signage products. We guarantee that our signs are fabricated with the top quality materials to ensure their durability for many years to come. Production time is also, part of our priority. We are dedicated to meet our deadlines so you can meet yours. 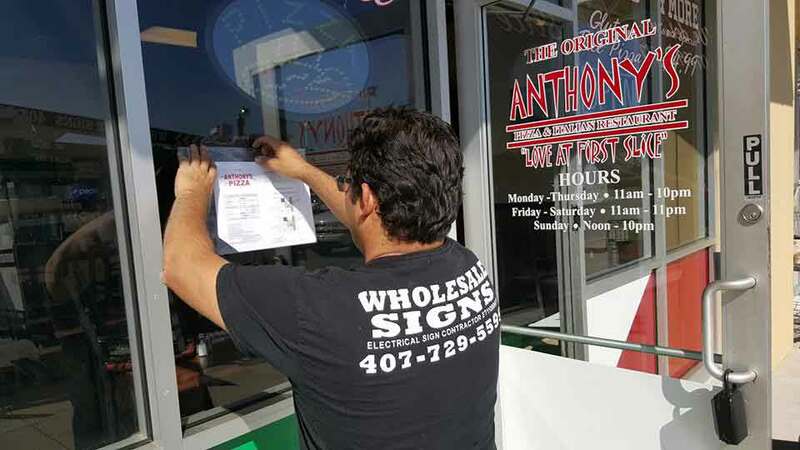 As Electrical Sign Contractors, Wholesale Signs Fabricators specializes on the process of documenting for permitting applications with a complete knowledge of local ordinances and their requirements. We also provide help and support to local and national sign companies in the planning of their sign, permitting and installation needs. Whether you need a major refurbishment, a lamp replacement or installation services, Wholesale Signs Fabricators has the capability and qualified experience to accomplish any of your service needs. As time passing by, signs need and require maintenance. We have the experience in the field of electrical signs to provide you with our expertise to repair your sign according to city and county code requirements. We can ensure your sign will operate for many years to come in a safe manner. Same day sign service is available in most cases. Our service truck carries a variety of the most common materials such as lamps, ballasts, sockets, wiring, and many other replacement parts. This helps us serve our customers faster. We take pride in our work with each and every service call we complete. We clean all the left over waste and clear all debris and scrap, touch up paint, wipe finger prints away and dust if needed it. We always leave the job site area as we found it and strive to leave it clean as it should be.